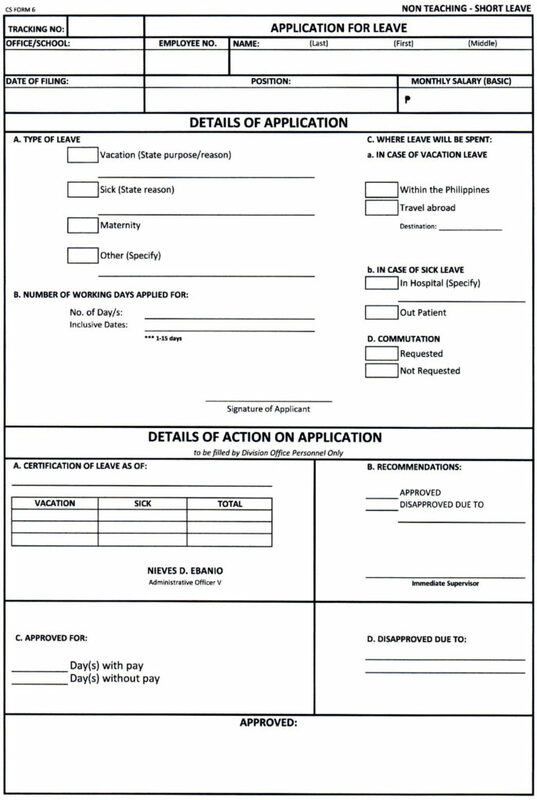 Application for Leave of Absence (CS Form 6) should be fully and properly filled out by the applicant and must be approved by the immediate supervisor or his/her representative using the prescribed format attached to this memorandum. 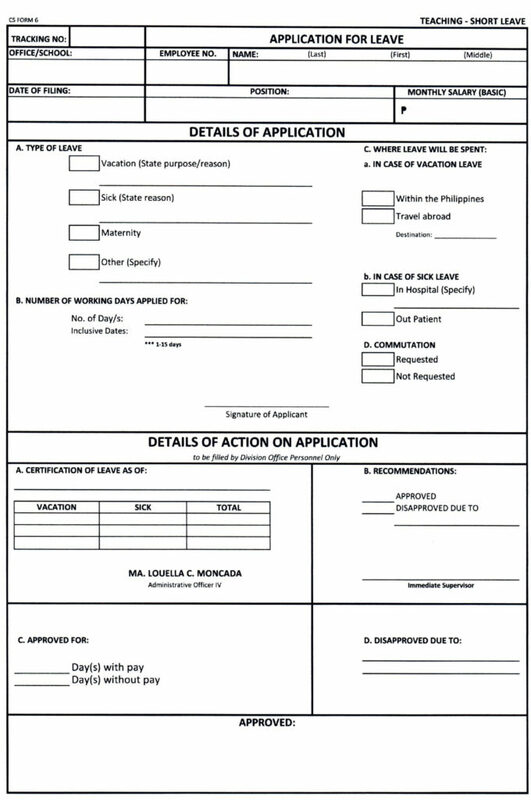 All applications should be submitted at the Division Records Section to be received by the Records Officer indicating the tracking number. For the documentary requirements, please refer to the attached file. Note: Documentary requirements for Leave of Absence may vary for each Division Office.